This week, we are highlighting Mary’s job experience. A junior Business Management major here at the University of Delaware, Mary interned at BarclaycardUS this summer. “What were some of Mary’s responsibilities at BarclaycardUS?” you may be wondering. Keep reading to find out! Want to be featured as one of our Blue Hen Intern Snapshots for a future blog post? Tweet us at @UDCareers and let us know! I worked in Human Resources, specifically in Learning and Development. One of my main responsibilities was setting up and helping run Barclays’ New Hire Orientation which occurred every other Monday. On these Mondays, a full information session was held for around 20-30 new employees to the organization. Another responsibility was managing Barclays’ “Buddy Program.” New hires were assigned a “Buddy” to help assist them throughout their on boarding process. I managed the system which assigned buddies and kept track of them. 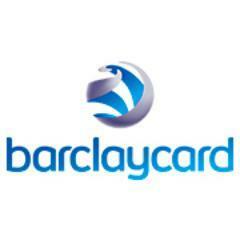 My third major responsibility was researching and developing a survey for new hires which was distributed after their first 90 days as a colleague at Barclaycard. This measured their satisfaction with the organization and also requested ideas on how the on boarding process could be improved. My favorite thing about my internship was the fact that I got to meet and network with so many people from all areas of the business. Being a part of Learning and Development opened so many doors for me and I got to see how every aspect of the business contributes to Barclays as a whole. As a business management major, what is one thing you can take away from your internship and apply to your classes here at the University of Delaware? One thing I can apply to my classes is the confidence I gained in my internship. My managers and peers were genuinely interested in my ideas and opinions in my internship which gave me confidence to voice my opinion in classes and in group work at UD. Something unexpected that came from my internship is the many friends I made throughout the summer. I was one of 30 interns at Barclaycard US and I formed relationships with each one of these interns. I now have 29 new friends that I hope to keep in contact and potentially work with in the future. I hope all students with an opportunity to do an internship grab hold of it. This internship was one of the most life changing experiences for me. It confirmed that I am going down the right path with my major. It also was a great way to network and meet with people who can potentially help me get a job someday. Any additional words of career wisdom that you would like to share? I have always been a firm believer that you should find what you like to do and then do it well. Once you find a job path that makes you happy, you can easily excel at that job.